We lived in England for a few years, living in the city of Exeter. 1985-89. What a great time. The Devon countryside is one of the world’s delights, especially the village of Kenn where you will find a pub called The Ley Arms. Built in 1190 AD, it was a popular haunt for us. Our son was still a youngster so we preferred lunch there, gently soaking up the centuries until we had to pick him up from school. It quickly became our favourite wedding anniversary lunch spot. November 21st turns out to be the day of the Beaujolais Run. No, we’d never heard of it either, until the pub owner came round with bottle and glasses and gave everyone in the place a free glass of red. It turns out that on this day the French wineries of Beaujolais start selling their new vintage. And somebody decided it would be a good day for a race. A race to get the first cases of Beaujolais home to their local pub in Britain. The Ley Arms got their stuff rushed in by Porsche or helicopter or something, arriving half-way through lunch. So we made a habit of it. We’ve been drinking Beaujolais for our wedding anniversary ever since. Until this year. This year we have just finished the Beaujolais, the evening before. Tomorrow we are having this. It’s a newish local winery. I’ve been driving past the place for a year or so, until last weekend. I got off the bike and tried out their stuff. Very nice. Here in Australia a galah is a native parrot. Grey wings and tail and bright pink elsewhere. They’re everywhere, and very noisy. 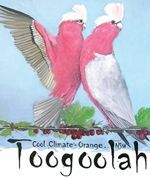 To call somebody a galah is to suggest he’s a bit of a fool. I can handle that. The label is too good to pass up for a wedding anniversary wine. And hey, it’s no more foolish than rushing wine from the south of France to the south of England between breakfast and lunchtime. Bit of a hurried post here. I’ve just listened to the morning news and before going to work I have to get this distraction out of my head. I’m a bit aware of wedding anniversaries at the moment. My wife and I celebrate 32 years tomorrow. My wife is a saint to be able to put up with me. But I knew that 32 years ago. Back to this morning’s news. It was of Queen Elizabeth and Prince Philip celebrating 60 years. Good on them, I say. She’s the first British monarch to reach such a long lasting marriage. That’s because her predecessors were married to men like Henry 8th, I suppose. OK, back, again, to the news report. They listed some of the things the royal couple got for wedding presents back in 1947, the years of post-war rationing. Among the presents was that of the Queensland Government. That’s not where the queen lives, Queensland, it’s a state of Australia. Apparently the official gift from the Qld government was 500 tins of pineapple. 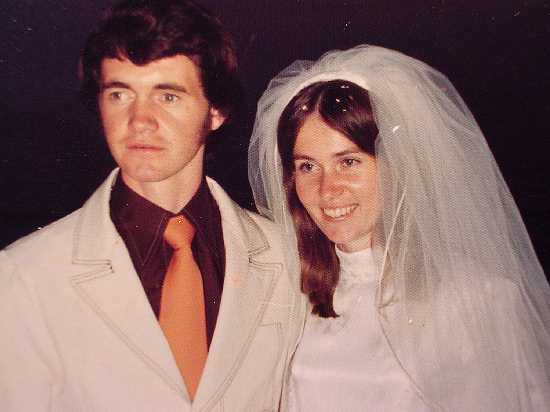 I don’t know about you, folks, but I reckon that is one very unusual wedding present. I looked to see if she was awake. She was. Then she woke up. So there you have it. Rack up one point for the male of the species to remember the day ahead of his wife. Now that I’ve got that off my chest I’d better get going to work. Nobody ever forgets the day there. The guys I work among in the prison know their release dates and how many days to go no matter how far off. With pineapples you get either the rough end or the sweetness.